We are back from our summer break here at The Card Concept! And I am SUPER excited, because this is my FIRST post for the team! The Card Concept has a new challenge for you to try! I was inspired by the beautiful daisies and pretty blue box! I had just received this fantastic stamp set from Stampin Up called Garden in Bloom and I was dying to ink it up! I just knew it would be the perfect stamp set for this challenge! I stamped the flowers with Black Archival Ink onto some Tim Holtz water color paper. I colored the flowers to look like daisies with Zig Kuretake watercolor brush pens. (The more I use these pens, the more I like them!) I used a light gray outline around the edge of the petals. I then fussy cut the flowers and layered them onto some teal card stock. And added Glossy Accents to the center of each flower for some dimension. Now please go see what the rest of the Design Team has created! 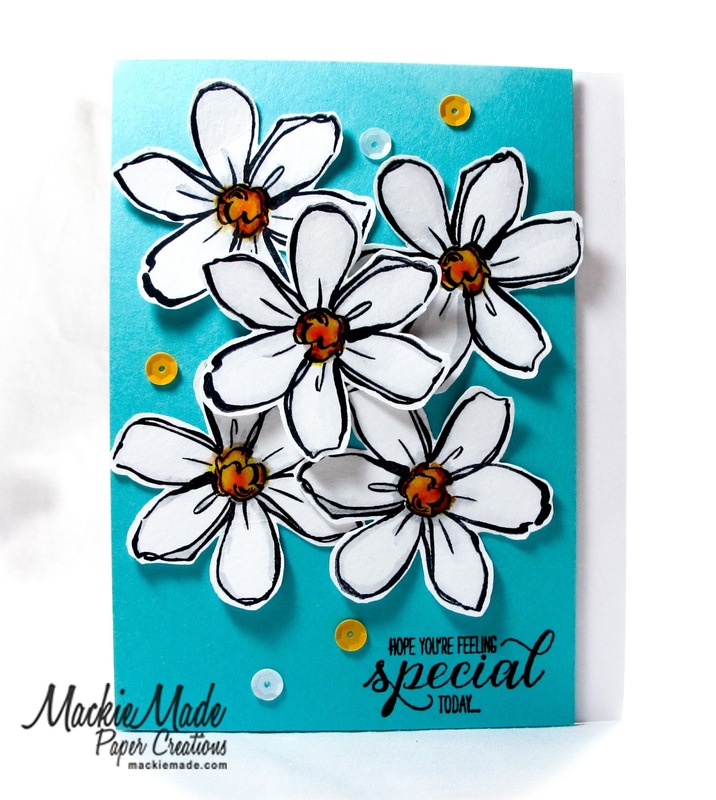 Our Guest Designer for this challenge is Kim. We are delighted she has joined us and her style is 'Clean and Layered'. The Design team is divided into different styles. Feel free to use any of the styles of our team or share your own style by combining one or more of the styles. We want you to have fun and make a card in a style that you feel good about! We hope that you will create a card in one of the styles we have offered. All of the styles are explained HERE. And please join us HERE at The Card Concept! I love your design aesthetic and have signed up to follow you! I'd love to have you pop by sometime! Your card is so bright and stunning! I love the cluster of daisies! YAY, congrats on your debut post Mackie I'm so happy for you!! Your card is terrific. It's a happy card!! Beautiful card with all the pretty flowers!!! Love these sweet daisies! What fantastic flowers and such a beautiful card!!!! Beautiful card! 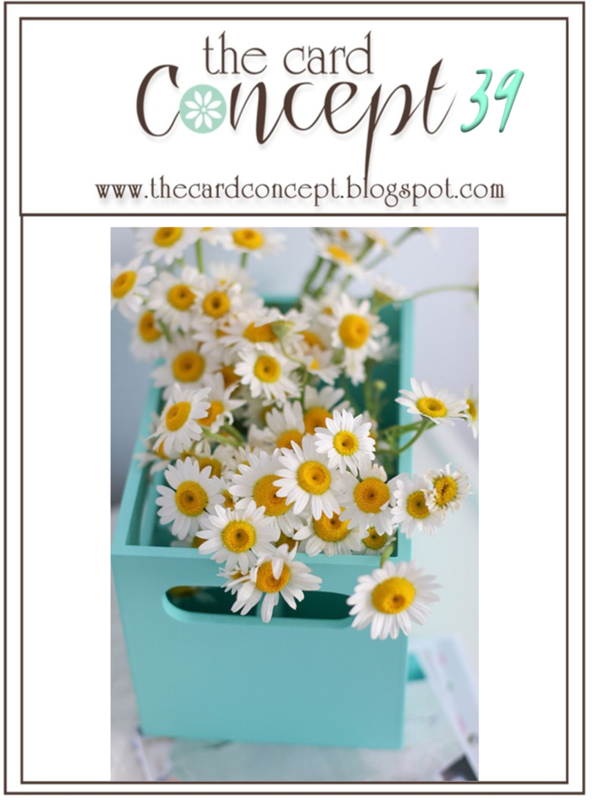 I just love this artsy daisy mix! SO pretty! I'm so glad to be joining the Card Concept DT with you! Those daisies really pop off the blue card. Beautiful card Mackie! Your card is so beautiful, I love the bold flowers. Over the top FAB bright and energetic colors!! LOVE the blooms and your work!!!!! 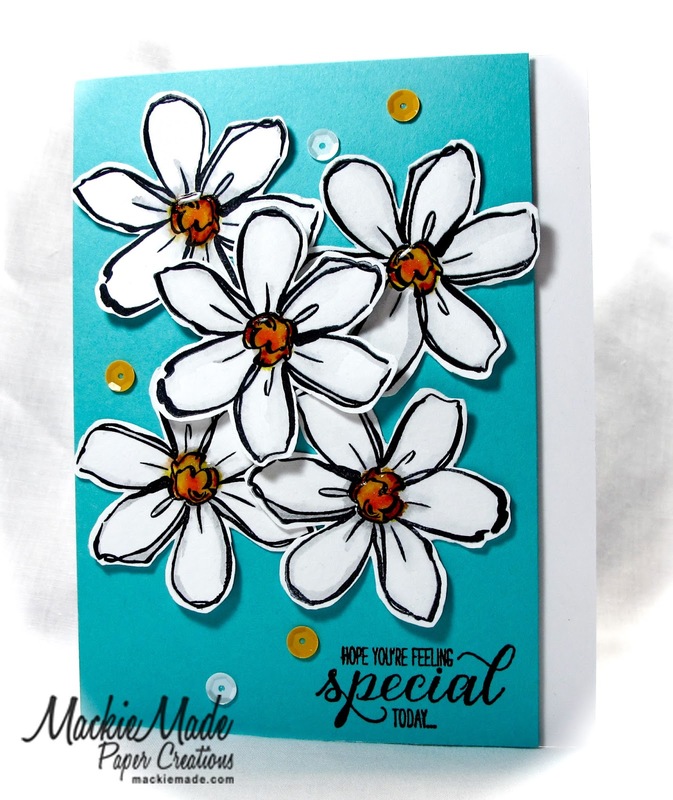 Beautiful card Mackie! Love all the fun blossoms! Thanks for the inspiration! Love this, those flowers are amazing!! Wow! Love your flowers on the deep blue background! Happy to be on the same DT! Your card is so fresh & fun! Love it! Love the drama in this card!! 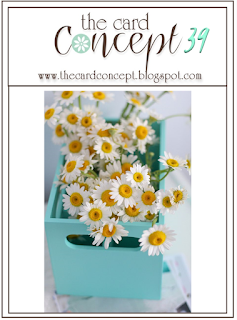 So thrilled that you are designing along with us at The Card Concept- hugs to you! !